Surprise! 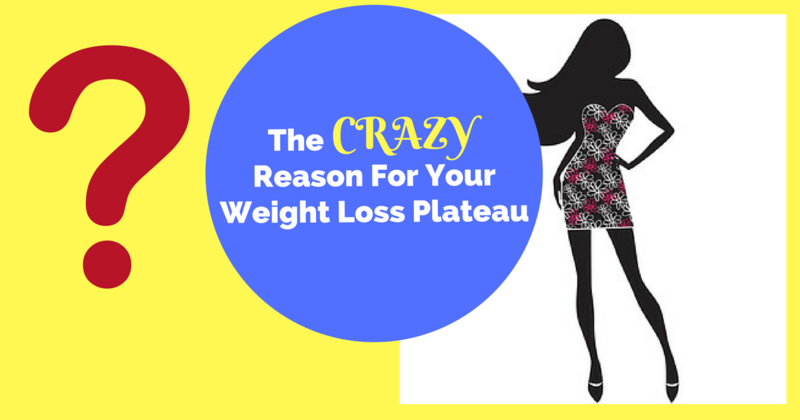 Toxicity May Be To Blame For Your Weight Loss Plateau! When most people think of the word diet, they think of it is as meaning restriction. Not me though. I think of it as creating balance. And this little lingual disagreement has far-reaching consequences. Because restriction sets you up to try and lose weight in a way that is completely wrong. Now, I’m pretty bad with balance. Ask me to do a handstand and I won’t stay upside down very long. And if you were to do a high wire act in the circus, I would politely say HELL NO. But ask me to create balance within my metabolism. Now that’s one of the things I’ve got down. And that is what has allowed me to go from a size 14 down to a size 2. You see, back in my size 14 days, I was completely about restriction. Restriction was awesome. Right up until I was so hungry and felt so deprived that I binged on the first edible morsel of food available. Because that is pretty much the inevitable consequence of restriction. You thought it was weight loss? Nah. Well, not for most of us. But balance? Now finding balance is the sweet spot where weight comes off more effortlessly and stays off. So what’s the first step for creating balance? Yes, you can eat organic all day long and still be toxic. Did you know they market organic gummy bears? GUMMY BEARS! I’m impressed with the genius who found a way to market gummy bears in a way that sounds healthy. Toxicity creates a state of inflammation in the body. And this internal inflammation causes the release of hormones that run the metabolism to the ground while perfecting the body’s ability to produce shiny, new fat cells. Shiny new car, YES! Shiny new fat cells? Hell, no. And now we’re in a place of imbalance. Should you starve a body that’s inflamed and imbalanced? NO! Starving an inflamed body makes it much better at storing fat. Hello diet plateau! The body needs to heal the toxicity that is slowing the metabolism and helping the body produce fat. And how is that achieved? Through a little thing called detoxification. Detox shouldn’t mean enduring weeks on a liquid diet that leaves you too weak to move or spending hours in a sauna, dripping out toxins into a pool of sweat. Detox just means a nutrient rich approach to eating and living that heals rather than hurts! Eating in a healing manner, rather than a calorie restrictive manner is an essential first step to LASTING weight loss. This means eating clean foods as opposed to loads of diet (excuse my language) crap. What are foods that heal? These are foods that are super duper nourishing to your body’s life promoting cells. These are foods that are soothing and anti-inflammatory. These are superfoods. The more of these foods you eat, and the less other junk you eat, the more your metabolism heals. Loads of veggies filled with fiber, vitamins and minerals. Half your plate at every meal should be veggies during the initial weeks of weight loss. Not because they are low calorie but because they’re healing. So how do you quit restriction and take the first step to healing? Juicing allows you to fast-forward the healing process and is a great tool to set the stage for healing the metabolism! You can fill your body with loads of vitamins, minerals and antioxidants. And once you start juicing, you’ll likely to eat more of those other foods I mentioned that heal. And the more healing nutrients you take in, the more your metabolism will say (cure roadrunner reference) beep beep! Get 5 Days Of Cleansing Juice Recipes HERE! Drink a juice a day to help support your organs of detoxification and boost your metabolism. Or do a 1-day juice cleanse to let the body rest and reset. This is a fabulous detoxifying first step towards lasting weight loss. Learn more about how to do this with this free DOWNLOAD! For someone reason, people tend to pick the difficult path to weight loss. I know you like a good challenge, but seriously! Healing is so much simpler and achievable. If you’ve spent years restricting yourself, then healing will be easy peasy. Restriction feels bad. Healing feels good. Pinky swear! So get to healing. Ditch the restriction. And focus on lovingly healing the toxicity in your own body. Because the toxicity is killing you emotionally and physically. And until you fix it, you’ll feel like you’re stepping on a landmine every time you step onto a scale! I will have to show this to my neighbor but I know he doesn’t eat any sugar at all and hasn’t in years. He has leveled out and is frustrated. I hope this helps your neighbor. Not eating refined sugar is a great first step, but there is definitely more that can be done. Great testimony about just making better, healing food choices. Thank you for this. I have a weight problem and have no idea what foods are healthy. This helps a lot. I LOVE your post discussing the benefits of detox juicing and weight loss. Beet juice is a regular in my daily way of eating AND I start my morning with an alkaline-based green drink every day. Hooray! Your health tips are super helpful and applicable. Great job! Any interest in guest writing for Just Beet It? I adore your tips and healthy living focus. Cheers! Hey Aarika…thanks for the kind words. And yes, beet juice is amazingly health supportive. Would love to do a guest post for Beet It! Just let me know. I like the phrase, “eat in a healing manner.” I know for sure I’m better off (and more apt to salsa through the living room) on the days when I focus on fruit and other whole foods versus the Scandinavian Swimmers from Trader Joe’s (but gosh they’re good on an airplane trip!). The mislabeling in stores always astounds me–I wonder how many people read that and think: oh, I can eat this (as you said, crap), it’s good for me because the label states it is. Sigh. Pick up an apple…of course, I’ve learned it’s gotta’ be an organic apple! Omg, I love the Scandinavian Swimmers from Trader Joe’s. OK, I only buckled and bought them once, but they were so good. But YES, you will feel better when the majority of your food choices are health supportive and cleansing for sure.